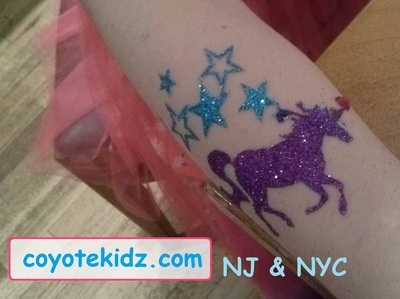 We treat our guests with only high quality professional grade, FDA compliant glitter and body glue is used on our guests. 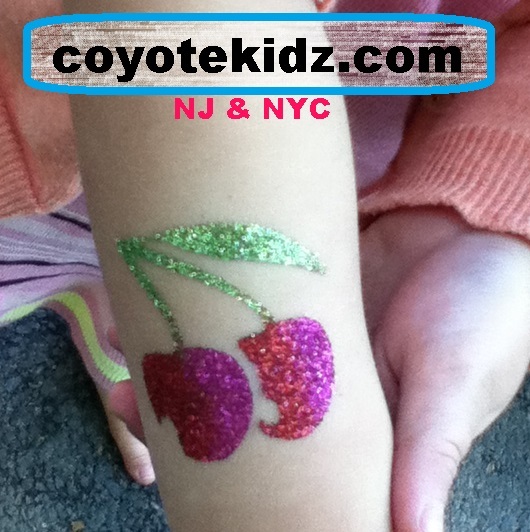 We have lots of colors and designs to chose from. 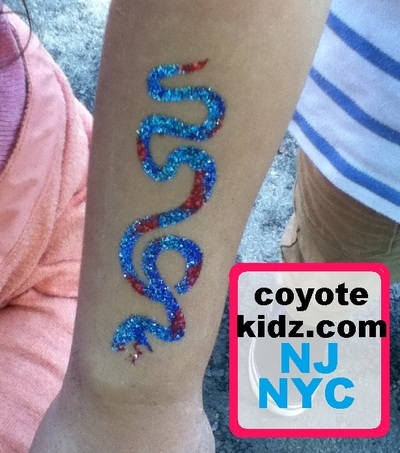 Kids themed, adult henna type of designs, flowers, fairies, dragons, animals, sports and more. We even combine gem stones, and more than one glitter tattoo stencil, along with free hand work, to make the most fun and unique designs. 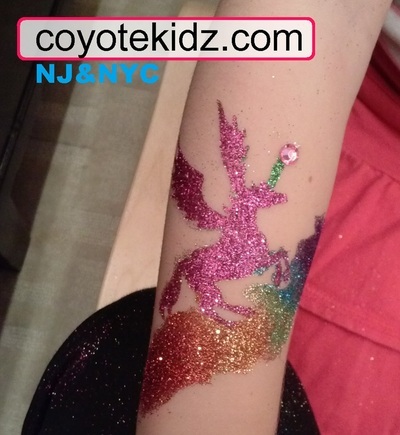 Kids get to be a part of the creation by picking the colors they like. Check out the bunny rabbit. 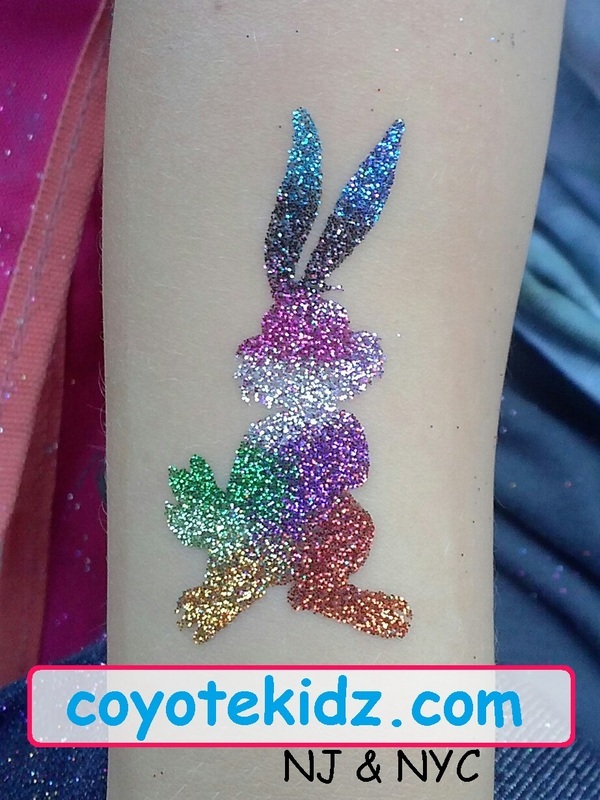 This child wanted all of the colors, and it looked great! 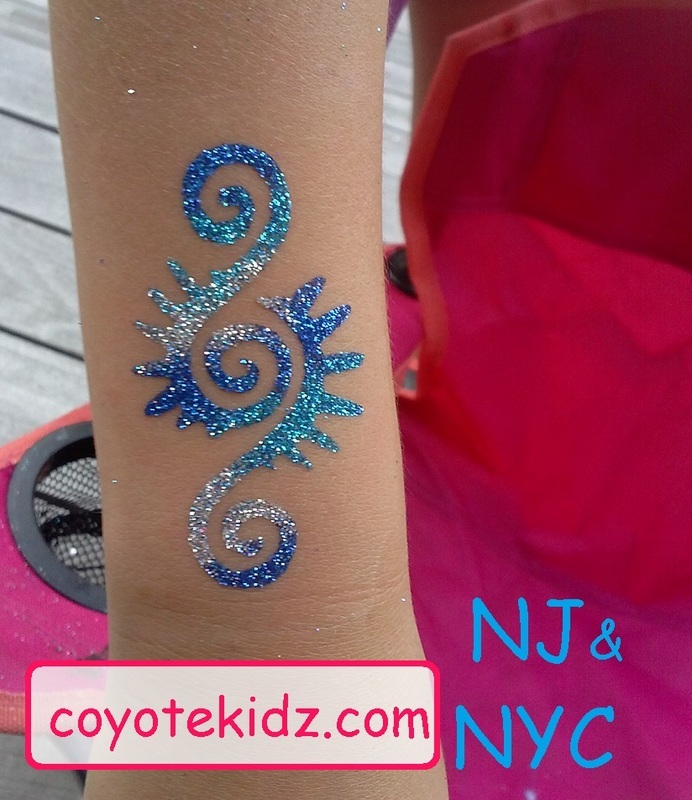 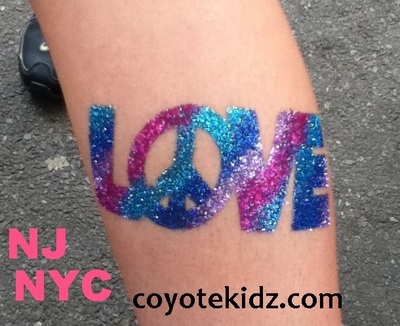 If you have a particular theme that you would like glitter tattoos for, email us early @ jway82@gmail.com and we can get glitter tattoos specific for your event.